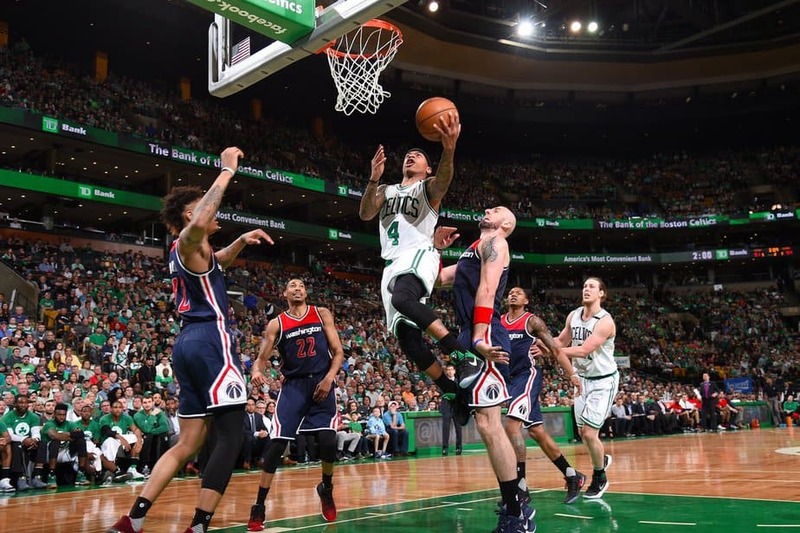 After watching their team overcome a two-game hole against the Chicago Bulls, fans of the Boston Celtics hoped their guys were back on track heading into the conference semifinals Sunday. The Washington Wizards would be a much tougher opponent than the Bulls. Fall two games behind against them, and it may be too tough to pull off another comeback. So–it is a good thing they got off on the right foot with a win in Game One Sunday afternoon. It didn’t look too good for the Celtics at first. The Wizards started the game with a 16-0 run and led by as many as 17 before settling for a 38-24 advantage after the first quarter. Boston didn’t make a basket until But all was not lost. The Celtics started the second quarter with a 13-2 run to cut the gap to three, 40-37. Avery Bradley tied the game up at 56-56 with a 23-foot three-pointer with 2:28 on the clock. But the Wizards had a small offensive surge towards the end of the quarter and pushed back out to a five-point lead, 64-59. The game remained close at the start of the third quarter, but by the time it ended the Celtics had taken over. As the final quarter started Boston held a 95-80 lead over Washington. The Wizards got within three about midway through the quarter, but that was as close as they got. Boston turned it back on and extended the lead back out to 14 following a Jae Crowder basket with 1:54 left to play. John Wall hit the final shot of the game with 1:14 to play making the final score 123-111, Boston. Isaiah Thomas led the way for the Celtics with 33 points and nine assists despite not getting back to Boston from his sister’s funeral until 4 AM. He did more than just give his all—he gave a tooth. About halfway through the first quarter, he tried to make a play on the ball but ended up taking an elbow to the mouth from Otto Porter Jr. In the process, he ended up getting one of his front teeth knocked out. He tried to put it back in, but it wouldn’t stay. His teammates are encouraging him to wait until after the playoffs to get it repaired, but he wants to get it taken care of as soon as possible. Thomas got plenty of help from the rest of the team. Jae Crowder had 24, Al Horford was a rebound shy of a triple-double (21 points, ten assists, nine rebounds), and Avery Bradley chipped in 18. As a team, they shot 51.1 percent from the floor and an incredible 48.7 percent from three-point range (19-39). 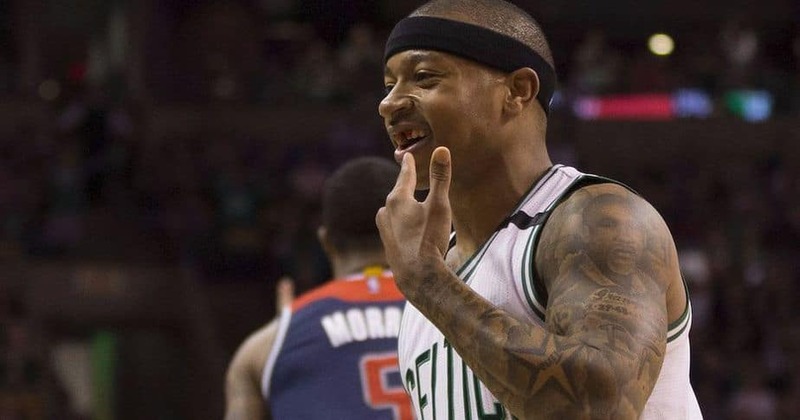 Washington didn’t play a bad game; just not a better one than the Celtics. The only starter who didn’t score in double figures was Markieff Morris who left early in the game with a sprained ankle. Bradley Beal scored 27 and John Wall had his fourth double-double of the postseason with 20 points and 16 assists. If Washington is going to have any chance of beating the Celtics in the series, they will need Beal and Wall to chip in closer to 60+ a night; 47 points between the two will not cut it. Game Two will be Tuesday night at 8 PM ET on TNT.